Disclaimer: This post was hard to write, and for some it will be hard to read. I prayed before I posted and I do believe that it is what the Lord would have me say. This is my blog, a place where I share my private thoughts and I invite you to remember before you comment that no one has forced you to read it. She was eighteen years old and she had never been in love with anyone she could touch before. I mean, she had been in love with Jesus since she was little, but this was different, touchable love. In her eyes he was perfect. He loved the Lord, not to mention he was pretty darn cute. He went to church with her and joined her on silly errands and at family dinners. He made her giggle by saying things that only she found funny. He made her heart flutter when he swept that one always-stray piece of hair out of her eyes. They were the “perfect couple.” They were desperately in love; one lit up as the other entered the room. They could see their beautiful future together. After high school, they would go together to college, get married, work a bit, settle down and have children with his eyes and her big smile. They would grow old together, laughing at secrets and kissing each other goodnight. And then God asked her to move to Uganda. At first it was just going to be a year. They could do a year. She would come back and they could still go to college together and all their dreams would still come true. When the Lord asked her to adopt her first children, it became a bit more complicated. She rationalized that her youngest was 7, so in 11 years, she could move back home and be with him. But her children kept getting younger and His call kept getting stronger. She would go back in 13 years, in 17 years, in 20 years. Finally she came to terms with the fact that God was just asking her to STAY. And that when He said He wanted ALL of her, He meant all. She would live in Uganda. But she held on to her love because remaining comfortable was so much easier than dealing with the hurt and the emptiness would be. Her eyes were opened and her life was changed. She couldn’t pretend to be the same person. She couldn’t sit still in his would anymore, it made her head spin and her heart ache. And still she held on because she didn’t love him any less. She knew God could move mountains and she prayed He could change his heart. After all, such a love must have been God orchestrated. He made her feel beautiful as she walked through life as a single mom covered in dust and spit up. He appreciated her even when everyone else forgot to say thank you. He believed in her when the rest of the world said raising eighty thousand dollars or adopting ten children was silly. Even from the other side of the world, he cheered her on and he picked her up when she just didn’t feel strong enough. His voice on the other end of the phone turned a rough day right around. They were moving in opposite directions. They both new it, but they both refused to let go. So she asked God for a very specific sign. For something that she thought very unlikely if not absolutely impossible. And then something devastating happened. God gave her the sign that she asked for. So she kissed him goodbye and drove away and cried so hard that she doubted she would ever breathe again. She tried not to wonder if anyone would ever love her like that again or how she would do this all alone. And that’s when He reminded her that she wasn’t. That HE would make her feel beautiful as a single mom covered in dust and spit up. That He appreciated her even when everyone else forgot to say thank you. That He believed in her when the rest of the world thought everything she did was crazy. That He would cheer her on and pick her up when she just didn’t feel strong enough. That His voice whispering in her ear would turn those rough days right around. That He would ALWAYS be faithful. That His love would be unconditional. That He, her ONE TRUE LOVE would never leave or forsake her and would give her heart’s desires. That He would make all things new, ever her shattered heart. A few days ago an American woman who had spent about three days of her life in a third world country looked at me and said, “I would SO love to do what you do. I would do it in a heartbeat. Oh, I would take 14 kids in a second!” It is a good thing that I was having a graceful day, because I said, “Aw that’s nice.” But my not so graceful heart was angry. And the not so graceful voice in my head wanted to say to her, “Ok then, do it. I can have you 14 orphaned, abandoned, uncared for children tomorrow. So here is what you have to do: Quit school. Quit your job. Sell your stuff. Disobey and disappoint your parents. Break your little brother’s heart. Lose all but about a handful of friends because the rest of them think you have gone off the deep end. Break up with the love of your life. Move to a country where you know one person and none of the language. And when you are finished, I will be here waiting with your 14 children!” I wanted to ask her what was stopping her, knowing that the answer would be her comfort. I wanted to look at her and tell her that my life was full and joyful and WONDERFUL, but I also wanted to tell her to COUNT THE COST. Because my life IS full and joyful and wonderful, but it is NOT easy. My life is NOT glamorous. I do not expect it to be. I do not think that anything about carrying a cross was easy or glamorous either. Which brings me to my point. I am not actually that angry about what that woman said, it was just an offhanded comment. But it got me to thinking… How many times to we grieve our sweet Savior’s heart because we refuse to COUNT THE COST? How many times do we choose comfort instead of the cross? In Luke, in the days of Jesus, He expected EVERYTHING of his disciples. Do we believe that He requires the same today? We sure don’t act like it. If you ever read my blog or have heard me speak then you have heard me reference Matthew 25, the parable of the sheep and the goats. Jesus basically looks straight at the crowd and tells them that when He comes back, those who have seen the needy and met their needs will come with Him to heaven. He also says that those who have seen the needy and done nothing will be sent away to “eternal fire prepared for the devil and his angels.” Right, hell. This is heavy, I know, but I believe that it is TRUE. I believe that the words of Jesus are timeless and therefore still apply to anyone desiring to be His follower today. (Oh, and in case you think you can get away with saying that you have not seen Jesus naked or hungry or thirsty or in need and therefore you are off the hook, let me help you. 30,000 children will die today because of hunger or preventable disease. There. Now you know. Now you are responsible too.) Faith without good deads is DEAD, my friends. Yes, I believe fully in salvation by His grace alone. I do not believe that anything we do or work for will save us. I also believe that if we are indeed saved, meaning that He lives inside of us, we will desire to do what is pleasing to Him. That if we really love Him with all our hearts and all our strength, NOTHING will feel like sacrifice in light of the promise that one day we will get to be with Him forever. Automatically, we will help those in need, we will give our all, we will love our neighbor as our self, because our heart is aligned with His. But so many don’t. This then begs the question: If we are not walking in the words of Jesus, do we truly know Him? Do we really know and believe in the Jesus of the Bible. Because if we do, if we believe what He says is true, our lives will be powerfully, unimaginable, radically different than the lives of those around us. He requires EVERYTHING. I wonder today if I had been one of the people listening to Jesus as He spoke in Luke 9 and 14, if Jesus would have convinced me to follow Him or if I would have walked away. I believe I would have really really wanted to say goodbye to my family. I wonder about “Christians” today. We wear Jesus on our T-shirts, we wear His cross around our neck and a bumper sticker with His name on it on our car. Have we just laid the foundation without being able to build the building? Does Jesus feel like I did when a woman I didn’t know told me she would love to do what I do but I knew that she never would? Do we claim the precious name of Jesus Christ without counting the cost? Without being willing to REALLY give it all? And does Jesus, in His infinite grace, look at us and say, “Aw, that’s nice,” but really with the furry that he flipped over the tables in the temple want to spit our lukewarm selves out of His mouth? This is heavy on my heart. I have spent hours typing it to get the words out right and still I feel like I am rambling. If you would like more references on God’s heart for the poor, try Isaiah 56-58, Proverbs 14:31, 21:13, 28:27, Matthew 19:16- 30, Luke 6:20-25, 18:18, James 5:1… Please feel free to add more in your comments! If we believe that these words are true, the way we are living is not tolerable. How can we live in willful disobedience and claim to know Jesus Christ? I do not claim to have the answers. I do not claim to be doing it right. I do claim to believe that the words of Jesus are absolutely true and apply to me, right now today. I want to give EVERYTHING, no matter the cost. NO MATTER THE COST. Because I believe that nothing is sacrifice in light of eternity with Christ. WONDERFUL! You are so right, "we" have no idea what following Jesus has cost you. Beautifully written. I can truly feel your heart. Blessings!!! I'm 15 years old I've been reading your blog for a while. my heart breaks for you right now. It must be really hard to say goodbye to someone you love that deeply, but I know God's love shines through the darkness that seems to overcome our hope. My sister who we are adopting from Ethiopia is coming home tomorrow. I have a heart for people in Africa and am always drawn to your posts. Your girls are beautiful and so special. Please know that I am praying for you. your words are an encouragement to me Katie! Thank you for being open, honest and willing to say what needs to be said. I continue to pray for you and the ministry in Uganda that you have so faithfully begun. I can honestly say that I beginning to realize this. I am getting on a plane tomorrow morning to go to Haiti to work with orphans. I don't know when I am coming back. I can honestly say with you that I have quit my life. And it has been harder than I ever imagined (and I haven't even gone yet). But Jesus is so SO worth it. Thank you so much for being an inspiration to me, and being a true example that all things are possible with God. Thank you so much for encouraging the lukewarm people of the world. God definitely gave you the power of words...and even though you felt like you were rambling His heart is shown through this post. Lifting you up. Katie, the cost is high, and you are right, it must be counted first. This is my 13th year overseas. It has been awful and wonderful all at the same time. Thank you for sharing your heartbeat. Press on, dear sister. I know you know how many times/fold we will be rewarded in heaven. I claim that one. This blog really touched me. Thank you so much for being so honest. Through your honesty, you shed light to the cross Christ wants us to bear. I want you to know, though we may never meet, That I love you and your children. I know you are not looking for thanks, but thank you. I wish you knew how much your blog has meant to me, personally. This post presents the truth. The truth is hard to swallow, but we need it. You are in my prayers,always. You took away the part at the bottom. That was what got me the most. I am responsible. Me, a 19 year old college student. I feel very confused and I don't know how I can help. I know I can pray for you. I pray every day for God to bless my husband and I with a child, and thus far it's not happened for us...but to think of doing what you do daily for your beautiful children truly humbles me. There's no doubt that you are walking God's path for you because no person seeking personal glory could have that kind of strength. God Bless you, Katie, and your children as well. And the monkey! Thank you for this post. May all who read it receive it in their hearts. Thank you so much for you heart! I know that God is delighting in the way you show HIS love. May God bless you as you continue to follow HIS way. I just had a breakup as well. We love eachother dearly, still do and always will but we have different plans. I want to take in special needs kids one day. I want to love on many kids, want to give my everything. I know in a relationship you have to make sacrifices, but Heavenly Father told me, that this wasnt a sacrifice I was supposed to make. I wasnt supposed to quit dreaming of the orphans with special needs that I have been told to take in by Him. So breaking up was the only way to go. Now I have a new life right in front of me. Right now it's like a white piece of paper but I am going to fill it with many handprints, tears, spit up, dirt etc. I look up to you. I really do. I dont know how you find the strength. When I was 16 all I ever wanted to do was volunteer in an AIDS orphanage in Africa. I still would love to go to Africa and work there and help but I dont know how. I hav eno idea how to get there, how to find a place to stay and who to help. Maybe I am just scared and not brave enough. I wish I was. I would love to come by your house and feel the love you have for your kids. You sure are a hero. single life, saves the entire world." (Talmud) You are saving so many lives with the work you are doing, it's just amazing. I am sending you and your kids snowy love from Germany. How I wish I could pack my bags and come by and help you. I am halfway around the world in a meeting...this is powerful. Katie...our Bible study leader actually mentioned David Platt today. Obviously there is something I need to hear that he has to say...I look forward to listening to this link tonight. I want you to know that you are an encouragement to me. I want to be radically different for Him! Thank you for sharing and for continuing to care for "the least of these". The cost is high, indeed. But we would be more comfortable with Jesus if He wasn't so demanding, wouldn't we? If He just let us be comfortable? May God forgive us for our half-hearted, non-committal, lukewarm devotion. If we can call it "devotion" at all. Thank you for your words - strong but true. And thank you for your testimony of a life well lived. I "accidentally" stumbled upon your blog a couple of months ago. I've never met you...yet, God's using you to encourage and speak to me. That sounds cheesy...but I wish that I could explain. Anyway, Thank you for all that you are doing for the Lord. My family prays for you regularly. My 3 yr old prays every night for "all Katie's kids in Africa." She also told her Sunday School teacher that she wants to be a momma and have lots of babies like Miss Katie. May God strengthen you, guide you and smile upon you. Wow. You are truly an inspiration to all of us "Christians." To give up EVERYTHING is truly an act of some kind of ridiculous faith. Thanks for setting a radical example for all us. Whether we do something similar to what you're doing or stay in the states and do something completely different, your words are definitely relatable and taken to heart. Thank you for sharing Katie. Your love for the Lord continues to grow and challenge me. You are right. God wants everything. Katie, I just right this moment posted to my blog.. and at the end noted how God had something so massive on my heart but I didn't quite have the words. And then your post. You see I WANT TO GO, I am ready to go.. I could care less about comfort. I live in an 800 sq ft box and want nothing more than to resign in my job as the Director of HR. And in October the Lord said GO. He didnt say where or when. So I had it all planned out- my lease was up March 1st and I would save $500 a month until then, sell my stuff, resign and GO. And then the Lord asked me to sew the $500 a month. BUT LORD, if I do that I can't make it happen. "I will" He says... So along comes plan number 2. I will move into a 400 sq ft box on March 1st, get rid of my vehicle and prepare to GO. Then came Sisay and her sibs in Ethiopia. Orpahns with names and faces; an immediate need. God says to me Thurs morning last week, would YOU be willing to forego GOING to bring them home? The answer is yes. Ouch Lord, I want to go, but yes Lord if that is your desire of me than YES! I know that obeying is the only way to His Will and the only way to true happiness. I just want to say that for some, some like me, the words of David Platt and the works of Katie Davis have beautifully broken us into action. And while there are far too many that sit in their comfort, there is a movement of followers who have been forever changed by your willingness to follow God to Uganda and others willingness to speak the truth into the hearts of believers about what it truly means to follow Christ. My heart desires to GO to the nations somewhere among the orphans and the least of these. But if God is holding me and has another assignment than I obey. Because I love him first. Just know, there are some who say they want to be where you are and it is not comfort holding, it is the Lord. I think God uses the very things we desire to test us in our faith... are we looking to him for comfort, like you mentioned, or are the desires of hearts bigger than our desire for him, the sovereign God. And even though our desires line up with his word, his commands and his ways, they themselves can never be bigger than our desire for him first. And I think he tests us with those very things to remind us and show himself yet again in our lives. Praying for you always, sister. Thank you for sharing Katie. Your love for the Lord continues to grow and challenge me. You are right, God wants everything. To God be all the glory--He certainly lives in and through you. Thank you for sharing your sacrifices and your losses with us--you've got guts, girl!! I LOVE reading your posts and seeing your pictures of your beautiful family. I'm 29 and the idea of doing what you have done is truly daunting and so inspiring. I think of the sacrifices that I have made in my life as an adoptive mother with a heart for Africa and know that it pales in comparison to what you have done as a warrior of Christ. You are my Joan of Arc. I can't tell you enough how much I love and support you all the way in Texas :) Know that you are loved and prayed for and appreciated greatly. I don't think you have any idea of how many people your life and actions impact around the world. I know you don't do what you do for any self gratification or praise and I really have no words but I just wanted to say... THANK YOU! You dont know me... just found your blog... I'm sorry the pain you have gone through.... but the words you have wrote are for me. Thank you for being vulnerable, and obedient- as God those words to deal with my heart. Wow! I have followed your blog for a short while now. I love your heart for God acted out. what path would God have ME take? Are we all to go to a third-world country? What is the future plan, individualized beautiful bounderies His lot has thrown for each of us? And how do we find it. I know it is not 'playing American church'. I do believe it is lived out in many many ways. Blessings. thank you for being vulnerable, transparent and speaking the hard truth! Thank you for sharing this. I have been so encouraged by you through your blog. My daughter loves the photo of your with your children. She tells me all the time that she wants to have 10 children - she's 5 now. Until she grows up and God blesses her with little ones, we continue to be inspired by you and your family, and keep you constantly in our prayers. Precious! Glorious! Thank you for the GUT CHECK! what a beautifully painful and wonderful post. I pray every 18-22 year old I work with will count the cost. Katie, I appreciate this so much! I wrote something very similar to this on my blog (it was a little shorter though). It is the truth and it should scare us. If we claim to be followers of Christ and are not doing his work, it means nothing. Katie, I have never met you and yet I feel that I know you now after reading this post written straight from your heart. God bless you for finding the courage to write it. thanks for your vulnerability in sharing your heart. i've also learned from experience the painful lesson that we need Him alone more than any man. however, know that i have been praying for you the past few weeks - that God would provide a godly like-minded husband for you to partner with! Katie girl you always challenge me. You rock me to my very core and today its just harder because I've been in Ethiopia and I'm still wrestling with what I saw a week ago despite the fact I've been there three times. It gets harder and harder to leave. My husband and I have just recently started listening to David Platt. Amazing and challenging man of God. Thank you for wrecking me yet again for the things that wreck my Saviors heart. I wish that my faith could be so much more stronger than it is right now. May God Bless you and your life 10 times what you do for others. Awesome Katie! Thanks for sharing! I think you have an amazing heart. Bless you, sweet Katie. THANK YOU. Thank you for being someone to come right out and say the things that more and more of us need to! Thank you for letting Jesus use you to teach, grow, break and challenge me! I am sorry for the end of your relationship with your boyfriend...again through this you display to all how you truly love Christ and want what He wants more than ANYTHING and more than even what you want. You can tell by your posts the love you and him share but what is more amazing is your love for Christ! Oh how He is and how He will use you Katie because of Your heart! God is doing a work in me and slowly and slowly I can see it and I get sad realizing all the years I wasted on ME or my selfish wants and I am praying God would help my heart to break more and more everyday for what breaks His and that I would do or go wherever or whatever He asked me to. I think Him calling my husband and I to adopt our first child from Uganda is just the first step! Oh to be where you are in your faith/willingness/surrender...i am not there yet and only God knows if I will ever get there but my heart wants to be there...and I know I could NEVER get to where I have even gotten and I will never get any further without my Savior, my God leading me because I am awful, I am nothing on my own and any good in me is from Him! katie, about the time we "found" you, we also "found" this exact same sermon series. we are never the same. thank you for stirring the fire in us and so many others. praying for you and your broken heart. my heart breaks for you because i know how hard this must be. Your personal sacrifices are humbling. You are amazing! I have no words. I wanted you to know that I read your post as if somehow that would be of comfort to you. Maybe it is, but I doubt it. Thank you for your brutal honesty. Thank you for pouring your heart out. God continues to poke and push and sometimes drag many of us along in his plan for us. Yet we resist. We look at the life we have built for ourselves and at the comfort it brings and we know that surrender, while appealing in the heart of the moment, is so scary it sends us running for cover. And there we live uncomfortable amongst our 'stuff', occasionally peeking over the edge to see if it's ok to jump in like somehow this time will be less frigntening. The list of fears is HUGE. The potential for pain or rejection. Wondering how others will 'see' us. Wondering if God will really come through. Discomfort, fatigue, hunger, poverty, the list goes on and on. I know God is bigger than all of it, but my heart forgets and it betrays me and it betrays Him. May God continue to bless you, Katie. We continue to pray for you. Please pray that God will bring each of us to that point of Surrender so He can use us to change the world. Katie...you are truly an inspiration! Total surrender to Christ. Wow! I thank you for sharing this, and I will pass your blog along to my life groups at church. We are doing mission work at home, and I am a host site director at our church for Angel Food Ministries, but I wonder if there is more He is calling me to do. For now I will pray, and ask Him to show me the way... maybe I will be called to sacrifice, and I only hope I can be as obedient as you! Much love to you and all of yours from Florida! Lisa G.
my dear friend...I am sitting here crying. I grew up on the mission field and know this heart of yours that cries out, all too well. I am serving here in my own city, and yesterday I was asking God...its this worth it, are we making a difference?... and of course my heart immediately heard him say "Yes". but only when it's done in his own power. I am a stay at home mom, fullfilling my highest calling of all, but also serving whereever God would use me. I follow your blog to remind myself of the missionaries heart. thank you for sharing it so well today. if you get any negative feed back, I urge you to not answer it, but to simply leave it at the cross...I have a deep feeling that you will not. my sister you are loved. challenging post...causing reflection for sure. You are always so inspiring with the way you are living your life. Thanks for setting a good example for us to follow, and following the Lord in your own life. Hey Katie, I sent a letter to you through a family friend that visited at the beginning of the year. I know how crazy life must get for you and taking five minutes to open and read a letter is five less minutes you have to love on your sweet girls. So if it got lost in the shuffle I completely understand. After reading your last post about how Christ didn't call us to be comfortable or to have all the things we think make us happy, I saw a lot of similarities to my letter and my heart. Thank you so much for speaking truth and not shying around the fact that our world is letting precious children die without food because they are continually striving for the next best material thing to bring them happiness, or so they think. I am honored to read about your life. Thank you for being bold and speaking truth. Every command from God is an opportunity for God to fill us with His grace to be obedient. My husband and I pray for you often and thank God for the way your life challenges us to be radically devoted to our Savior. Katie, thank you so much for boldly continuing to point us to Jesus. You have no idea how many people Jesus touches through your life and your words. To God be the glory. You don't know me. We have never met. I ran across your blog a few months ago from somewhere, really can't remember now. The reason so many may not like this post is because it is the real deal. It is honest and true. We are not that much different than those during Jesus' time. We are very uncomfortable with the truth, something Jesus also spoke to people. He cut through the stuff, the politeness, the society's way of doing things, the junk we cover ourselves with and spoke the cold, honest truth. One line that I will ponder, preach on, and start putting into practice more in my own life -- "I wanted to ask her what was stopping her, knowing that the answer would be her comfort." That more than anything -- more than money or time or lack of compassion -- stops us all. If we are being honest with ourselves. your heart spilled and i love it! here's the thing...i don't want to read this and think "oh that's convicting", i want to be different! i keep saying that. makes me wonder if i am full of a lot of good intentions but not willing to fully follow GOD. you amaze me. your love for the LORD amazes me. you inspire and push us. keep spilling your heart, it's a beautiful thing. Katie, I am 45yo and a mom to 7 (4 adopted) and I want to be you when I grow up. God shines through you - your life. I want that for myself and for my children. I know that in Heaven you will have many crowns....and God will bless you richly for all that you gave up here on earth. Thank you for taking time out of your life to post and minister to others half way around the world. I will keep you, your daughters, your mission in my prayers. God bless you for doing what too many are unwilling. My prayer is that my children will love and serve God with the same kind of heart that you have. I stop by when I truly have time to read and take in all you share. Your writing and your faith are amazing. I keep you in my prayers. Katie...thank you for speaking truthfully..that is all you can do, because the Jesus of the bible says exactly what you have. I did spend two weeks in Africa just a few days ago, and you are right, it would come with a cost...only two weeks came with a cost and almost a life. My heart hurts with yours, I share your greif..I praise the Lord that you are willing to do anything and trust that our Father is able to far more than we can ask or imagine..Prasie the Lord that you are a voice to hundreds. Love you sweet friend, always praying for you too. Right on:) My pastor has been speaking of this alot recently. Doing someting uncomfortable, giving up the pleasures, and going in the name of Jesus is hard but the rewards in Him are unmeasureable. I'm reminded of times when I've been told that adopting older children is not a good idea because they are already molded with bad behaviors and tragedy. But I also am confident in the fact that our God is bigger than anything the world has to offer. Adopting in Uganda for us was very difficult, trials and emotional stress but the laughs we get from our son (presently wearing my shoes 12 sizes too big) is priceless. God bless you and your sweet children! Prayers from GA from a family of 5 and growing! I've been wanting to tell you something. My husband and I have been reading your blog for some time now and several weeks ago, amazed again at another post, he asked me how you could be so fearless. I told him that infact, you were quite the opposite of fearless, but that you feared the Lord instead of man. That you were afraid not to obey God and that we should be too. I hope that I represented you correctly, but the wonderful conclusion is that my husband was baptized two weeks ago and your blog played a big part in that. Thank you for continuing to hold us accountable. What a beautiful heart you have. Thanks for being real and honest, it is more that just encouraging. In everyone's journey there are things other people do not understand...I will never understand the depth of your day to day...but I do understand the depth of your love for Christ...and I am grateful that as followers of Christ we can always come together there. i'm reading richard stearns' book, the hole in our gospel, and wrestling with the COST of this knowledge and what i'm supposed to DO with what i am now responsible for. thanks for being truthful. always. don't ever apologize for that. i had the same choice you did 20 years ago, but i chose differently, and i've wondered ever since if i'm not fit for service in the kingdom as a result. you will never have to wonder. it took great courage and great trust to ask for the sign and then to act when you got it. i believe that will be rewarded. I haven't listened to the sermon you linked yet, but I plan to. Your post inspired/challenged me so much that I did a post on my blog about you and "my heart spilled..." post. I hope you don't mind. I love reading your blog. You challenged me so much to surrender all to Jesus on a daily basis. Thank you for speaking such truth into our hearts! I have to be honest, I know nothing of the sacrifices you have made and what it is like to do all that you do. It is evident that the Lord has called you and you are right to say that it is not glamorous nor easy! He HAS called you, He HAS equipped you.... ALL of us reading would agree but although we see little glimpses of your life and the genuineness of your faith, we do not really know what it is like to be there serving in Uganda. We all love you dearly and admire what God does through you and I am sure there are many who look on and hope to do the same wonderful things you are doing for Jesus. But like you said, we all must count the cost and lay EVERYTHING down. And this is where the true test comes. You are a blessing to us because your testimony gives God the glory and shows how it is possible to serve Jesus with your whole heart and to leave families and lands and brothers and sisters for His name. It is possible for us all to live as Jesus wants us to if we surrender our will daily. You know of Christ's love so much more intimately than many of us and you are acquainted with His sorrows every day. But this is because you have chosen to lay down your life. You are His hands and feet and God will reward you abundantly in Heaven (even though I know you are not seeking such rewards). I am praying about a trip there this summer and hope to meet you and the girls and serve in any way. I may have been serving the Lord in ministry for many years, but I know that God wants so much more of my heart and I want so much more of His! Thank you for being so vulnerable and spilling out your heart to us. I will continue to pray for you. hey..quick question...i saw there are 8 hourish long messages on that sermon series...i don't mind listening to all but was wondering if there was a particular one in mind you wanted us to listen to? You don't know me! :) In fact, I have no idea how I even stumbled onto your blog. I just want to say that what you have written has inspired me, and you have given me much to think about. Some of us, were in your shoes, only we didn't listen to God. We got married to a great Christian man, we had great children and then we realized that maybe growing up in church and attending church isn't enough for you anymore. And so here you sit, struggling at the age of almost 35... SCARY!...and wondering how do you exist in the world you have chosen for yourself. And how do you exist in a place where you can follow God to such a degree that you are willing to give up everything! That's my struggle! How do I give up everything to follow God and still be mom to my kids and a wife to a husband who himself is following God's call on his life. Where does that leave me and my life? I wish when I was your age, somebody would have told me or encouraged me to dream the impossible, give up everything and follow God! I look forward to seeing what else God will do with you and your children in the days and years ahead. Thank you for sharing from your heart, it has touched mine! Amen and God bless you! kate, you truly have a gift and an amazing heart. i appreciate your honesty and your conviction! your story is amazing and i look forward to reading your posts. i love your positive outlook and the unfathomable courage you have to be a mother of 14 at such a young age without the comforts of home. you and your family are in my prayers! Thank you for your post. So true the words you have spoken. you are an amazing girl, just amazing. may the lord bless you a thousand times over. Amen is the only thing that I can think to say. My life looks so different than yours but I feel as if I understand every word that you have written. Know that I am praying for you. Not just, "say a prayer here or there" but down on my knees- seeking the face of our Redeemer, for you. I wish that I had words to express all that this post evoked in me. Because my words wouldn't come close, let me just say thank you. You are doing a good work, & not all are deaf to your godly admonitions. My husband & I hear you, as do many others. There are some, hopefully many, who hear this Word & follow it with action. Thank you for sharing God's Word with us, undiluted & straightforward. You are always in our thoughts & prayers. We've never met you, but we love you dearly as our sister in Christ. Thank you for spilling your heart. I do think Jesus is grieved by our failure to take hold of our God-given destinies. And I say it that way because I believe God has clearly laid out a CALLING, a DESTINY for us all. And just as He said "relief and deliverance for the Jews will arise from another place..." if Esther chose not to take hold of HER destiny, I do believe that God's purpose and plan will still be carried out if we choose not to be a part of it...BUT WE WILL MISS OUT. Oh, will we miss out. I humbly pray for us all that we will not be one who "misses" our unique calling...How can we miss it? ..."Whether you turn to the right or to the left, your ears will hear a voice behind you, saying, 'This is the way; walk in it'" (Is. 30:21) For crying out loud! We have a voice IN OUR EAR (IN GOD'S WORD!) saying..."CARE FOR THE OPPRESSED." That is a call none of us can claim to be ignorant of. Thank you for your bold witness. Seeking His voice with you TODAY--NOT TOMORROW. You are an amazing young woman serving an even more amazing God. I, along with several of my friends, follow your blog. We live in middle TN. You are inspiring to us. We often need a reality check. I can't imagine how hard it is being away from your friends and family in the States. I know your work there is rewarding but that doesn't make it easy. You are and will continue to be in our prayers. Our lives need to be called - CRAZY! Unthinkable! Unimaginable! Out there!!! If we do truly believe then we NEED to accept this role, accept what we need to do for Christ & do it!!! Stop being comfortable. Stop living like we think we know the gospel or have heard it preached, but have NO IDEA what to do about it. The problem is we do know, but we are too worried, scared, of what? The World! Praying my heart would be opened and changed & challenged. Thank you for this post! I pray many will read it, and accept Christ's Call to REALLY be a disciple and not pretend any more! Thank you so much for sharing your heart honestly. You wrote your message beautifully. I am on the other side of the world with everything America has to offer, and my heart aches that I'm so tied down and can't jump up and come live with you. My husband doesn't have this heart for those in so much need (not that he has NO heart for them, just isn't quite ready to move across the world to them), but this is the life I am in and I need to submit to him. Maybe there will be a time where I can freely give so much of myself across the world, but for now I have to choose to do as much as I possibly can in our spoiled country. Bless you for your obedience to Him, for giving it all up. Had you gone to college and gotten married you quite possibly may have missed your chance. And that would have been a different kind of difficult. Thank you for sharing your life with us in the internet world! While I struggle with envy, I love reading about your adventures, though I've not commented before, I don't think. Oh sweet dear, I am praying for you and with you. At times it can be quite lonely when we choose to serve God. Just remember, even the "black sheeps" of the family are still sheeps of God. Blessings to you from another black sheep seeking to serve Him.. In my opinion, the guy who gave up the opportunity to spend the rest of his life with you has just made the biggest mistake of his life. The Bible says to weep with those who weep. That is being done. I'm so sorry your heart is breaking. You have shared the truth yet again beautifully and powerfully. I believe we are yearning to hear truth spoken, and we come here to read it. I find it amazing that no one has commented yet. I do not know you personally and found your blog through a friend of mine who is also overseas (not in the States). I find myself in the predicament of waiting. My family is 3 boys and all 5 and under. I think that your post is in no way offensive to me. . . no more than Christ is offensive. I did think while reading it of the body of Christ. That some are hands and feet and . . . legs and arms. I have yet to find out what my family's calling will be. Right now it is the unglamourous but comfortable position of waiting and being faithful in all investments and opportunities that I am given. I don't feel comfortable though, I feel restless. I know that there is something for my family beyond what we now do but I have yet to know what that is. As a side note I see the American Christian church being challenged in her apathy for her bridegroom. The economic climate here has taken away many things that the church has been trusting in. It is good and it is beginning to seperate us, sift us. So pray for us at home that we would see clearly what Jesus asks of us daily and learn to always say yes. I am thankful for the vision that the Lord has given you and am enacouraged by how he is providing. Keep challenging us but we need grace. Katie - I don't know how to write to you privately or if it is even necessary to be private about this. Here is my heart...poured out on paper without any extra thought or editing as I only have a moment to share. Boy this is tough. I am so glad to walk the journey. I am so glad you shared your heart. Your hours of typing and wording your post just right were worth it in my life. Please keep it coming! This is what I've been inwardly praying for without even realizing it, Katie. This has been in my heart for so long but I didn't know how to bring it about when it is not in the heart of those around me. Please pray for me as I live this out in front of my children and my husband. Please pray that God will capture the hearts of my young sons and that they will see God's principles lived out through my life. Please pray that God will help me in my weakness to fully die to myself and live with Him wholly as my focus. Please pray that I will claim His faithfulness and His truths as I seek His face to see how I can tangibly lose it all for His ultimate goals - love Him more than anyone so much so that it looks like I hate everyone I love. My boys and I have been privileged to listen to the first two messages. I am pondering all that I have heard in the past two hours. I am convicted on all accounts. Oh please, Lord Jesus, may your Spirit make this come about in my heart no matter what it takes. Give me the strength to abandon everything to Him so that I might devote each moment...each day to whatever it is that He is calling me to for His glory! Ah Katie. So very very few of us count the cost and still step up. So very few will carry the cross and find that joy. I want to. I do. But I fail EVERY. SINGLE. DAY. because you know....trying to offer yourself up, sacrifice, it HURTS. It's hard and it hurts. And in our comfy, my comfy selfish life, I can say it, but it's oh so very hard to DO it. Brava for you. You stay in my prayers for strength and peace. We all see your faith in your works...just like we all should. Bless you. Thanks for sharing Katie. I am deeply moved and will ask God to continue speaking to me about how to further empty myself and sacrifice for His agenda. Thank you, personally, for being faithful to what God has called you to. Some of us need to be reminded about just how seriously God's words should be impacting our lives. I pray that He would continue to bless you richly with joy, health, and abundance in your home. Oh Katie, I just love your heart. Your pure heart. You do not even know. I want to first say (thank you) From the bottom of my heart for what you do. I am reaching 50 here soon and the loss of sight in one eye and hearing in one ear. I'm no good to anyone. This is why I do what I can do from where I am. I give here in the U.S. to the rescue missions and I have just recently sponsored a child where you are just this January. I don't work and my husband is unemployed , But I have been giving to you and now a child which I feel great about. We can do things like hand out gospel tracts, put up witnessing websites, do good to our neighbours and the like, but people like you are called higher to do so much more, God has truely blessed you with the ability that so many of us wish we had. God is using his best dear one. You. We love you and thank you for doing the Lord's bidding. God Bless you dear one. We love you. Big hugs to you. Keep that beautiful smile and that servants heart. Thank you for the post! I so badly want to do what you are doing. Why? Because I would SERIOUSLY give up EVERYTHING I have and go to the ends of the earth. I am only 15, but God has placed in my heart a heart for the lost, the needy, the poor, and the orphan!!! Thank you again for this post! You don't know us, and we will probably never meet this side of Heaven, but we love you and are praying for you. You are inspiring many. Well said!!! We are counting the cost right now. We (a family of 8) are moving March 4 to Livingstone Zambia to start an orphan work. I pray that Jesus will be so close to you that His presence will be with you where ever you go. I have been reading your blog now for a few months, spending hours and hours going through old posts and anxiously awaiting new ones. I don't even really know what to say to you now, miles and miles away in Birmingham, AL, really I just want to let you know that you are changing lives here in Alabama as well as in Uganda. God is so amazing in how he orchestrates his will - around the same time I started reading your blog, I started attending church at Brook Hills and am now taking part in the Radical Experiment! I pray expectantly that the Lord will allow an opportunity for me to someday serve in Africa too - it has been in my heart for many years and your blog helps to spur it on - I already see God opening doors for me. I pray for you and your girls, asking God to send blessing upon you and to place you all in the center of His will. Thank you Katie for this word of Truth. You are right, Our Lord requires everything. I sit here now, contemplating how much of myself I still need to give. And how it will hurt. But, not as much as any distance between me and Jesus Christ. Your ministry is powerful . . . to your family and community in Uganda, and to your readers. Thank you for being bold and for reminding me to FOLLOW. The Lord bless you, my sister. Thank you very much for this challenging and convicting post. You have given me much to think on. I have studied those passages (Luke 14 especially) before, but I appreciated your take on things. Thank you for your encouragement. I have been reading your blog for a long time now, and even though I have never met you I feel like I know you. Thank you for sharing your heart and in doing so encouraging others! May God continue to bless you.. I love you Katie. May we all be obedient to what God has called us to because the truth that you so explained beautifully (by the way the radical series rocked my world a few months ago myself) is simply that faith alone saves but faith never exists alone and if it does then your God is your comfort and not Jesus Christ. Again, I love you and praying for you that the awesome strength of Christ may consume you every day. I'm going to check out that sermon later tonight. Thank you for your open and honest heart. I yearn to have the same heart. I know what God's word says and I choose not to do it. I suppose maybe I use that excuse that Jesus didn't mean all of that stuff LITERALLY but I know I'm lying to myself. Have you read, "Crazy Love" by Francis Chan? So convicting! don't hesitate to step in and help. If you say, "Hey, that's none of my business,"will that get you off the hook? Someone is watching you closely, you know—Someone not impressed with weak excuses. Thank you for sharing your heart with us....My family will continue to pray for you...that God will wrap His arms around you and hold you tight during this tough time. Thank you so much Katie. Thank you for what you do. The Lord gave Isaiah 58 to me awhile back, and he said to live by it, and I've been finding out ever since what it costs to be a disciple. Keep finding comfort in his love, fellowship with his spirit, and encouragement straight from him. We serve an incredibly beautiful God. You live dangerously alive in your faith. Well done my sister. Beautiful. I just want to say, you're Catholic. You don't know it yet, but you're Catholic. I just want to say thank you so much for posting this Katie. So much truth to it and it has also been on my heart. I shared my perspective of this too on my blog and referenced yours. Thanks again! I have no words. You said it all. Thank you sister, you are His hands and His feet! Bless you! Thanks for the sermon link. I will be listening! Wow Katie, this is the first post I've seen with no comments. Maybe they're coming later. I want to say thanks for delivering a hard word. I appreciate it. Thank you for sharing your heart with us. I pray with you, that more of us would be challanged by God's call to help in a sacrificial way, in Africa. May our hearts be soft towards God! I look forward to taking time out to listen to your sermons. I have often thought, "you cannot change the world, but you can make a world of differnce to a child one little person at a time!" May God bless you richly for making that world of differnce to all your chldren! I pray for your safety and peace! That God woud provide for your every need. So I felt like I was throwing my dh under the bus with my comment. He loves the Lord, and he's not a big bad ogre who says no we can't help people, he just has a different heart for different things and now that we're married, we have to agree on major decisions like adopting more kids or going on mission trips. That's what I meant! Your story is an amazing one. One that is full of God's amazing love and compassion, but at the same time amazing sadness for what you have given up. However, God has chosen you for a special purpose and would not make you give those things up without having something even more amazing waiting for you. Praise God that you realize that. Thanks for sharing your heart, Katie!!! The Gospel does demand sacrifice, and it's not glamourous, but IS rewarding, amen?! LOVE the radical series by Platt!!!! Anointed words!! You are one of the most beautiful human beings I have ever heard words from on this earth. I am incredibly encouraged today by these words, to see truth spoken so boldly in the face of so many lies about comfort constantly shouted by the world. We like to shove God into the context of those lies and today it is so so so refreshing to be reminded that it's not just ok for us to turn away from the things of this world and turn towards the things God says, but that it is actually what we are created for. I'm in the process of learning how to disappoint my family and let the world define me as a failure so that I can do the things that God is asking me to do. I am thankful that you exist. I just wanted you to know that I understand your pain....I understand your frustrations with others not "getting it" and it seems that the laborers for the Lord have always been few. I will join you in praying for more workers...not just people who say that want to help but that they begin to pray...Lord how can you use me? Thank you for all that you do for those precious people Katie....you really are so inspiring to me. You don't know me. I stumbled onto your blog because of a suggestion by Amanda Lehman, someone I suspect is more like you than most. Respectfully, you are wrong. You say you don't have the answers or you're not getting it right. Baloney. You have it exactly right. God bless you and keep you from doubting that what you are doing is precisely what He wants you to do. I pray you will feel Him wrap you in His everlasting arms RIGHT NOW. Thank you for sharing your heart with us, some people who know and love you, and others, like me, who have found your blog and follow just because there's something different about you and what you're doing. We, I, needed this challenge.... to really see and care for the needy, instead of worrying about my own selfish little life. I can't really even begin to imagine what goes on in your heart, but I can tell you that you, in your heart of obedience on this, have touched me, and I will be praying for you and your kids. Thank you. Thank you for sharing your heart!! Know that thousands of miles away you have touched my life and God has used you to get my attention. I pray daily for you, your family, and God's hand on your life. I am so glad you shared this, Katie. You are a beautiful, inspiring write and I am always convicted to think less of myself and to keep on giving to others, even when I feel depleted. God ALWAYS fills us up! Katie, to me this is just an amazingly beautiful post. I love it! Thank you, thank you, thank you!!! What you said desperately needs to be said to the American church. Ever since I read Francis Chan's book "Crazy Love" in 12/2008, my understanding and burden for the things you're saying started and continues to grow. The more I read and meditate on God's Word, listen to sermons and read books pertaining to this area, the more my convictions have grown. This area is a huge "blind spot" in the American church as David Platt says, and in great need of reform. When my wife and I learned about you and your blog and then read through the whole thing last October in a couple of days, we have looked at you as a living illustration of the passages you've quoted from and many others. The way you live your life actually helps us to understand these passages because, like I said, you're such a clear illustration of what it means to follow Christ! These passages do not make much sense when we're in hot pursuit of the "good American life". There is a world of suffering out there that we as Christians are called to be burdened for and to put our faith to work for by going to, and by giving our resources to. We look at you as a model for what we would like to do in the future, possibly in Ethiopia. We have just got to get disconnected a little bit more from our "good American life" and the commitments we've made that must be honored. A huge part of our journey in understanding our big blind spot was the "Radical" series of sermons by David Platt you referred to. These sermons, along with his sermons from the book of James, and the "Radical Experiment" going on at the church he pastors, and where we are now members, has had a huge impact on us. I was excited to see your reference to these sermons and would also strongly encourage others to listen to them, for they are life-changing. I think these sermons along with others from men like John Piper would greatly encourage you in the work you're doing also. Again, thank you for the work you're doing and the example you are. My wife and I pray for you, and will be especially praying hard for you during what seems to be a tough time in your life right now. I agree 100%!! awesome post Katie. sweet, sweet Lord. Mighty one..fill us with your Spirit. Press down on us with your love and let us not be carried away with this dying world. Thank you for, Katie. Thank you for her voice...Your voice...in such a time as this. More of this, please! Go God, Beat Satan!! woohoo I love your boldness, K! So good, Katie. So true. I do not want the end of my life to look like the end of Schindler's List when he realizes that for all he did, he really could have done more. Katie, you don't know me, nor do I know you any more than by your blog, which I stumbled across a month or so ago and now have made required reading for my daughters. I want to encourage you... you can post this on or just keep it for you... but God has a great and glorious plan. Both for you and those beautiful daughters He has given you. And although it seems like SO MUCH to give up right now, God is smiling and saying, "Well done." His plan is good. He has plans to prosper you. I also was given a choice at age 21. To go with a young man I loved or to follow Christ in what He wanted me to do. When put like that (and through a series of events I knew it was what God wanted of me) I chose to follow Him and forsake the young man. God's plan was so much better than mine!!! I am now married to a WONDERFUL man who loves God, and we have 10 children. You can look at our blog www.petersonclan. com . I say this to encourage you. I do not know that God has marriage in your future. But I trust absolutely that He has something great for you. Feel free not to post this. I really wanted to just write to you and encourage your splintered heart. I know it is hard. I know you are hurting. I know He has asked much of you. I also know that He is well pleased with your obedience. Thank you for sharing your heart! It certainly has me thinking and reevaluating my own walk with the Lord. Have I given up everything? Am I willing to surrender it all to Him? I know He is worth it! Katie- I know you don't really get to read comments much here, but just in case, I wanted you to know that I appreciate the time and effort you put into your words on this post. I am sorry for your heartache. I admire your bravery with your words. And I thank you for having the courage to put your convictions into action daily. As members of Brook Hills, we were completely altered by David's sermon. Between your blog and David's sermons, God has called us to adopt from Uganda. We're waiting on our referral (and all that legal stuff) now. Just wanted you to know that your voice is out there. You're being heard. And you're changing people. Hugs, girl. Hugs. Katie, you are disappearing and we are seeing Jesus more and more in your life lived out before us. God has amazing things in store for your life, not merely in the blessed hope for eternity but here upon this earth, even upon the rugged red-earth clay of Uganda...Your heart spilled out before us is such a precious gift! In your true weakness, He is showing Himself strong. Keep pouring out your heart, dear sister, pouring out your life. Even in the midst of the pain, you are finding the blessed joy of being perfectly centered in His will for your life. wow... this is powerful. thanks so much for the reminder. you are an inspiration and i am confident that God is and will continue to do wondrous things with your life! my heart is spilling over now. i love how the Bible...God's words & promises...are real to you. the the Bible is living & breathing. i know you are not perfect but you are a standard bearer. thank you for your words. we are praying for you in the Simmons household & i make my daughters read your blog. God bless you. Katie, you are inspiring. My wife, myself, and another family have been following your blog. We found it when we decided to follow the calling on our hearts. We are, Lord willing, moving to South Africa in the fall to work along side a church and orphanage. You are an inspiration to all. Our hearts go out to you. You will be in our prayers. This is absolutely a beautifully authentic and truth-filled post. I love it. Thank you for sharing your heart. Katie, your words have touched my heart. I have been blessed to adopt 5 children; many of them affected by drugs. What you say is so true! As Christians, we must be willing "to get our hands dirty." I am glad that we have adopted these children, but it is a sacrifice. It is not easy to have a baby addicted to drugs at birth. It is not easy to deal with brain damage from those same drugs. God does require us to lay down our lives. Bless you for having the courage to write this. May others be encouraged to seek the Lord for His will in their lives. Oh, my heart hurts for you. I know that it is not easy to do what you do. However, I do so see you as one of the heroes of the faith. You have truly given all this world has to offer. Right now my family is having a rough time and I complain. Thank you for opening my eyes and showing me that even though it is "tough" I have nothing to complain about. Thank you for showing me that I need to be doing a lot more for Jesus and that my life is not near radical enough. Thank you Katie and keep up the good work!!! Thanks for spilling it, girl! So proud of you for your reckless faith and abandon. You challenge me to the core. I don't wanna be a goat! I do so appreciate what you are saying, but wanted to gently offer another perspective. I WOULD joyfully give up all in a heartbeat and adopt 30 kids and live in a third world country... if that was where God called me. God instead called me to marry young, practice midwifery during my barren years, now to have many young babes in very few years, one born with epilepsy, and to cry out and weep and long for and pray for children who suffer, all for His Glory. It is not comfort that prevents me from moving to Africa, it is doing the will of God as he calls me. There is an analogy that Paul Washer uses for missionaries as ones who are lowered into a dark and dangerous well (I think to dig or repair it) and of on the other side, the ones who dig in their heels and burn their hands holding the rope. There is a cost to both. May we here share the scars of rope burned hands from the sacrifice of supporting those in the field, each as the Lord calls. Wow. Thank you for sharing, Katie! The Lord has truly spoken through you and His words are very convicting. I read your blog often and think about the sacrifices you are making in order to follow Christ's will. Thank you for being so authentic and sharing the hard parts! Oh Wow. Katie, I have followed your blog and your ministry. Shoot, I have had your button scrolling on the side of my own blog for the better part of a year. But I don't believe I have ever before left a comment. Perhaps it's because what you are doing with this life you've been given is so big, and what I am doing...well, isn't. I am compelled to write now. I admire you so (I realize that's not what you are looking for, but there you have it). You have been an inspiration to me. I have often wondered what it is about some people that enables them to "leave it all behind" to follow God's call. An extra portion of courage? An adventurous spirit? No. Not in cases such as yours. Something all together different is at work. I pray daily, "God, let it be with me as you say." And I mean it. May God fill you up. May you in all ways be blessed. And may you know that though few of us are capable...make that WILLING in the way that you are, there are those of us out here that are lifting you up with love and in prayer that you never knew existed. Katie, words cant describe how convicted, challenged, and encouraged ive been just by simply reading your posts! You are an inspiration to me, and I have grown spiritually by hearing about your relationship with the lord and your encouragement from the word. Know that I am praying for you and your family! The passages you reference are ones which keep me up at night. Thank you for being bold in speaking the truth. I can tell you heart is broken. Prays to you. Katie, Your life has captured my attention and caused me to ask these same questions of myself. You are truly a woman after God's own heart. Thank you for everything you do for your children and the children of Uganda. I am so sorry for your heartbreak and you both are in my prayers. I will be looking at my own life and the things God is calling me to and I will count the cost. God bless you for sharing this. thanks for putting this all out here. words i seriously needed to hear today. you are a miracle. may God continue to bless you and all you do. Katie, we have 4 children, all adopted. The youngest are twins, one of whom has CP (non verbal, wheelchair, self abusive etc. Over and over before we made the decision to accept her, we felt God telling us that we weren't here for Disney cruises and ski vacations. But, it has been hard. On days when I have been bitten, repeatedly restrained her, or cleaned up played in feces yet again, I find myself almost angry with God. We have had "friends" basically abandon us, because we make them uncomfortable or perhaps even afraid, "what if God asks us to do something like that?" A family member even once said she didn't pray about things like that because she didn't want to know what God would say. Many people just seem to think we are crazy. And, then I feel guilty. I am still in my upper middle class house, with the privelege of fighting isurance which covers more therapy than most kids in other coutries could even dream of. I have plenty and yet I still wallow in my self pity. I would not change my decision. Every... EVERY child deserves a chance, a home, a parent, faith, hope. If I believe this, it is my calling to act. This is why you and I are here. Cry on sweet sister. Wow katie...this is absolutely amazing. Convicting and inspiring at the same time. Thank you for sharing your heart and your passion. You are a woman after God's heart, and I know He is so proud of you. I know you don't know me and I've never met you, but you are truly an inspiration to me. I got in touch with your blog through some friends of mine, and I absolutely love reading what you have to say. Especially this one. I feel God has put it on my heart to do something to an extent of what you are doing, but this message smacked me in the face. I am extremely comfortable in my life and wonder if I've just gotten comfortable with the idea of God's mission because I'm not actually doing it. Thank you, thank you, for what you wrote. Thank you. Your words are appreciated. Really. I came across your blog via Leslie Ludy's website, and I'm blown away by what I've seen. You are truly walking with the Lord, completely abandoned to Him. I'm not sure where God will lead me over the next few years, but I know that I desire to be like you being like Christ. I'm thankful for your example, and I will continue to pray for you and your children. Thank you Katie ... thank you for counting the cost and choosing to give your all to the Lord. In your youth you have chosen to "do hard things" and exhibit "crazy love"(if i can borrow a few favorite titles to make a point) that blows most of us readers away. You are an inspiration to many of my girls in our youth group and proof that God can do BIG things through them right now as teens. But what I have been most impressed with is not your charity or even your great sacrifice but your tender heart, humility and love for our Most High God. You liken another young person God used in magnificent ways for His chosen ones... King Josiah. I encourage you to read about him and the "crazy" things he did in order to love the Lord his God with all his heart and all his soul(2 Kings 22-23 and 2 Chron. 32,I think : ) May you be encouraged to stand strong and physically feel the mighty arm of God, who secures the feet of His godly ones. May you find comfort in His refuge this very moment. As I have followed your blog tears have spilled down my face when I think of the price you have paid to follow Jesus. I see the picture of you and your brother, your parents, the story of the ending of your relationship -- and you are right. The cost is high. Very, very high. You are also right that not very many of us are willing to pay that price. I'd like to add James 1:27, which says that, "Religion that God our Father accepts as pure and faultless is this: to look after orphans and widows in their distress and to keep oneself from being polluted by the world." The words you share are truth -- straight from God's word. May we all heed them today! You got it right...no rambling, just beauty. Katie... this heart of mine spilled tonight too. Maybe not on a blog, but here in my dorm room I have been pressed for a year, the words of James 2 ringing in my head: "Faith without deeds is dead." He has me finishing my degree. My heart is for the taking. My heart is ready. Whether it's supposed to be back in my hometown or in another country. Life isn't easy. I was pondering the messy and hurtful things of life tonight, before reading this. Thank you. Thank you for reminding me that... even though we are pressed, we are not crushed. Even though we are persecuted for His sake, we are victorious. For, the heart that is set on His will and promises is the most blessed of all. Your testimony is incredible. Your life... is exemplary of Jesus Christ. all I can say is: thank you for being a mother of 14 with dust and dirt and spit up everywhere. For, in doing that, you are fulfilling God's ultimate calling on your life. i'm praying and sending love. The words you speak are truth -- straight from the Word. May we heed them TODAY. I found your blog last month, and I have read your story from start to present since then. I am endlessly impressed with the courage you have to say yes to the person/task that is right in front of you, that God has given you to do. I think that is all that anyone need do really, is say yes to what God gives them today. Enough of that and our tomorrows will be radically different. I just want to tell you that for some reason you have been on my heart all month, specifically about you and Ben, what you have shared about that relationship, and I have been praying for you. I am really confident both from prayer and experiences in this, (I've been married 10 years now) that the husband you are given will be so much more what you need than anything you have been able to imagine before now. And I am certain that you are walking the right direction to find him as you are walking in true life with Jesus. Your story has moved me. Thank You for sharing your beliefs and what has been on your heart. I read in the newspaper of a couple here in my town that just returned from Haiti with two children they adopted. I looked up their information and sent them a donation. Now that I have read your post, I feel that I need to do a little more than just sending in a check. I am not sure what that thing that I am supposed to do is yet but, I am resting assured that it will be revealed to me. I am here by way of Angie's blog and took a chance and clicked on your post. I am very happy that I did. Keep on doing what you're doing. You're an inspiration to many people! What does it look like to loose it all living in california? Thats not a clear question but I desire to give it all in fact i'm willing but like you were when you first lost it all I'm young 17 and I want to radically live yet I'm held back.. Yet my parents don't agree an so many of my friends.. I fear I will make feel guilty when I tell them I only like buying what I need. I this a legalistic mindset? Is there a balance to this? so many people of faith in my life don't live this way and not having support in that way makes me question If this Is right or is it legalistic as some may call it. Yet seeing Gods word I feel it makes sense. I'm praying God shows me but If you get back to me I know your advice would be one I could trust. Thank you for allowing Jesus to live through you he's moved in my life because of it. Thank you Katie! I often, well more than often, need a little perspective. You are more than an inspiration...you are an answer to prayer. We recently joined the church at brook hills and we are on your heels and you are in our prayers! I am in my infancy and you are strong in Christ, man do you inspire me! Rock on Katie, Rock on! I'm Emma, I;m from England and about the same age as you. It's nice to kind of 'meet' you in this strange bloggy world! I have been following your blog for a while now. Thank you so much for sharing your thoughts, joys and struggles along the journey. I think sometimes it seems to people that it they removed themselves from everything that reminds them of normal life - the town they grew up in, the friends they made since they were little, the general expectations of society - then they would find it much easier to give all away. A novel setting where all is unknown looks from the outside like a fresh life, a chance to start over, to live the way you always wanted to for Jesus but never got round to. But maybe the point is that this thinking is really just similar to the idea that'the other side is greener'. Your life in Uganda is reality not a short term mission trip. I'm assuming you get bogged down in mundane work and that the things that once seemed exotic and new are now just part of your everyday life. I'm sure you have the same or similar struggles to just take it easy and to 'give up on giving up' that others experience in the comfortable West. I guess my thought is this; you were called to Uganda, and as I am not called to Uganda at the moment I excuse myself by thinking the same sacrifices are not expected of me. BUT THEY ARE! right here in England, living in a seemingly wealthy city as a 21 year old student with my whole life ahead of me. Jesus calls all of us to carry his cross. Where ever we are there are children in need of nurturing and love. There are blind grandmas alone and rejected by the community. There are women struggling with domestic violence and precious young babies. (These examples are all real people in my life, not a generic idea of suffering people). 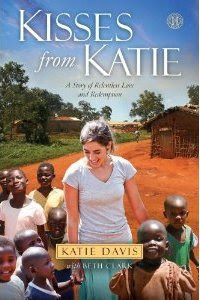 As readers of this blog we need to look for the stories Katie tells in our own lives, as well as supporting hers in Uganda. Thank you so much for continuing to help me see that Katie. Thank you for your voice and opening your heart. Thank you for loving our Saviour and challenging the Body of Christ! I love you! We support what you are doing in Uganda through prayer and cash. :) Our pastor has always said that we are all called to support building the Kingdom around the world -- some go and others send. Just a thought, but it seems that sometimes we think the ones who are called to "go" sacrifice more than the ones who are called to send. But maybe, just maybe the ones who send sacrifice just as much, because sometimes they sacrifice the strong desire, the willingness, and heartfelt dream to go so that they can be obedient and send. Just because not everyone goes doesn't mean they enjoy comforts more - maybe they've sacrificed their dreams so that others can go. So maybe this woman is sacrificing her desire to do what you do in order to be obedient to God and do what He has called her to do - even if she is surrounded by comfort doing it -- it doesn't mean she is comfortable. It takes the whole body to build the Kingdom! Thank you for doing what God has called you to do. your words are a blessing. to GOD be the GLORY for great things he has done... is doing... and will contiue to do. it is because of the Lord's mercies, that you are not consumed. his compassions do not fail. They are new EVERY morning. GREAT is HIS faithfulness. You've inspired me today, Katie. God bless. You are in my prayers. HE IS FAITHFUL. Thank you for your honesty about the not-so-glamorous life of following Jesus COMPLETELY. Thank you as much for sharing how LIFE-GIVING it is. I would call this a spurring on that Hebrews tells us to do for each other. "Yes, Lord; now whats the question?" I am sorry about your hurtful break up. I am glad you have God to give you love and comfort through this time, though. I will also pray for the American lady who spoke about wishing she could do what you are doing. May God give her the strength and courage to do what He has put in her heart the desire to do. Be encouraged, sweet child of God. Your heart is breathtaking. Prayers are with you. Thankful you are willing to pay the cost. You were right... this post was *very hard* to read. Thank you for righting it.. Please pray for me, a sinner. if this post is hard for some to read, then that's just evidence that you were supposed to say it! Jesus' calling, his truth, and what he requires of us should not be comfortable, wherever we are at... if it is, then WE have become too comfortable. life with Him SHOULD be costly! Your calling reminds me very much of Mother Teresa's. I pray that you will find sisters to join you and give you comfort and companionship in your vocation. God will not ask you to do it all by yourself. You can be part of a team. Love tends towards unity. The Church tends towards unity. One of the fruits of the Holy Spirit is peace, and Mother Teresa surely had that. Pray about whether you should join the Daughters of Charity. You will become a nameless, faceless, blogless worker bee. But you will do the same work you do now, and have peace at the same time. What a light yoke our Savior offers us! Even when the work is hard. Katie - thanks so much for this post. I do believe goers and senders are necessary in the kingdom (I am so thankful for the OBEDIENCE of the believers who have NOT gone, but are financially supporting you and your family and all that you do! ), and that sacrifice looks different for every believer depending on their desires, gifts, and where the Lord has called them. I teach in an inner-city middle school, and this is where the Lord has called me - NOT to sell everything I own and quit my job, but to STAY and invest in the children and communities of severe need where I live and work. So I would hope that if I said to you that I think I would love to do what you do (and I believe I would) that you would not assume that comfort holds me back, but understand that the Lord has instead called me to be HERE and that although we plan our path, He is directing our steps for his purpose and glory, whether in Uganda, inner-city America, or "comfortable" suburban communities. Where are the comments from guys? Women, make the guys in your life read this. And make them read it again. And tell them to do something, encourage us for we are so fearful. I'm sorry, Katie. You shame me so I will do better for I have left the naked naked and the hungry hungry and the thirsty thirsty. Thank you for letting your holy fire break through your sweet humility. I am a goat no longer. Thank you so much for sharing this! I live in the city and walk by hungry people everyday. I wish I gave more and I am encouraged to keep challenging myself! God bless you! I love you. I love your heart. And I love the Jesus who reigns in your life. Thank you for those words of truth that ALL of us need to hear. I heard someone say yesterday "The need is the call". No more waiting...sitting around wondering if we should get up off our butts and help those in need in a way that is tangible and radically like our Savior. We have ALL been called. Thank you for that reminder. I want to be found doing what Jesus would be doing when He comes for me. God, give us all courage and faith to do so! Just wanted you to know I pray every day to be more like YOU- because you are so much like HIM. Thanks for your example. I needed to hear those words. You smacked me hard between the eyes. I will continue to pray for you, as you are touching so many! Thank you Katie. Your radical faith inspires me. I love you. Don't ever stop writing. We need you. mom to 10, waiting for our #11 and #12 in Liberia. Thank you for sharing these truths, no matter how hard for you, or for those of us whose ears it will fall on. This is such a tough one. A while back, I was planning a Bible study on finances, and was going to use the passage where Jesus talks about giving everything to the poor. I could not find ONE commentary that didn't simply say that it was just a call to see where your heart is, etc. etc. Not once did anyone say that he REALLY MEANT IT. Thanks for bringing this truly prophetic word to us all today. I, for one, needed to hear this. I sincerely hope that your boyfriend felt led in a different direction by the Holy Spirit and nothing else, because otherwise I would be feeling very sorry for him right about now, losing a woman like you. You're one in a million. -- On a separate note, THANK YOU for your refreshing honesty about the apathy of modern day Christians. I am convicted afresh and anew. Wow, wow, wow! Straight from the Holy Spirit, that post is. Thanks for shaking us out of our boots. Oh, that we Christians would finally get it. Thank you, thank you, Katie. And I think God is going to bring the right man into your life one day, straight to Uganda with you. I don't know you, and have no idea how I came across your blog, but have been following for a few months... This post especially touched me. Thank you for the rebuke, for the reminder, for the inspiriation. I was truly blessed. Thank you for your honest and insightful post. This is something I've been struggling with lately- how do I explain to my children that there are other kids in the world who are starving to death when we live with such excess? I don't have the answers and I struggle with whether I'm doing things the way Jesus wants me to. I am one of those people who gives to the poor, volunteers for charities, etc. but for the most part I live a very comfortable life when I KNOW others are suffering. I'm wondering how I justify that I deserve so much when others have so little. thanks though for opening our eyes to the rest of the world. Katie, I know you probably have no time to read all these comments, but I just want to thank you for this post. You are so incredibly right and I honestly just hear God speaking through you. As a 17 year old facing a lot of decisions for the future, I'm truly encouraged by your blog to count the cost and live the life that God created me for. I wish I could be as courageous and faithful as you, but I know that with God all things are possible. Thank you for being such an amazing example to a teenage girl like me. You and your family are in my prayers. I am a missionary living in Ukraine. God one night told me to go to a country I had never seen and leave everything behind. I can understand everything you have said. The thing is, even though you and I have walked through valleys and shed rivers of tears and know that we do not get to lead the glamorous lifstyles we thought we might one day, Jesus is being glorified through us and that thought alone is worth more than anything this world could give. Some of these comments are telling you "Oh my heart is breaking for you" and yet you've clearly stated your life is full and wonderful and you have JOY. My heart breaks for people who refuse to count the cost. Who refuse to see the beauty in spit up and hugging orphans and standing by them even when they are screaming at you their hate because you are telling them "no". Beautiful feet according to Jesus, are dusty, dirty, calloused, blistered and seen lost of road. You have beautiful feet. You have a beautiful life. And in heaven the Reward that you will receive will be more than anything this world could give - face to face with our Creator. Hallelujah! Not to mention that rooms of treasure and the crown God will give you! You have such a popular blog. I would say "Hey we should be friends"....but I'm not sure you would have time for that. But nonetheless, I will lift you up in prayer and ask that you say a prayer for me and my ministry in Ukraine. Katie, love this post - I feel the pain, and I feel comforted by your words. I am a single mom too, to foster children in Tennessee. When I tell people that, I often get the response, "Oh, I could never do that. I could never give up a baby." It is like a punch in the gut to me to hear that. I can't do it either!!! It is a higher cost than I can possibly bear!!!! But OI am not alone; my God goes with me, bears the cost with me. My Savior gave everything for me, my Father gave up His only Son for me, so I take in children, love children, and lose children. It is excruciating at times. But it is also full of joy and love and peace. I am sure there is no one on earth more blessed than I. Although I have never married, God is making me mother to a multitude. God is good. The most purifying and lovely blog post I have read in a long time. Your blog is truly one of the very few worth keeping up with. Thank you! God bless you. Tears flowed down my face as I read your blog, Katie, and even as I type now.. because everything you wrote is identical to everything God has been speaking to my heart, especially in the last several months.. How shall we..how can I, stand before His Presence and say I love Him if I have not ACTIVELY loved those HE loves?? And He says, "Obey. Deny self, take up the cross, and follow ME.."
Thank you so, SO much for sharing. You and your girls are very often in my prayers! May He continue to hold you and fill you as you seek His face: "Open your mouth wide and I will fill it," Psalms 81:10. Thank you for this post. I didn't know I needed to hear it but I did. I feel a huge push to do something. Stop being complacent in the "Christianity" that surrounds us. While the story of the woman was brave and heartbreaking, and courageous, I realize that not everyone will be called to do this. But everyone WILL BE CALLED. And it's about listening to that call that God has placed on each individual heart and following it. I am responsible to be Christ to people in need. To everyone. Thank you again for the post. I will be praying for you. Incredible. Your reward is going to be amazing in Heaven. I'm in Kampala right now trying to bring home (USA) a severely malnourished girl with failure to thrive, an undiagnosed throat injury that leaves her unable to speak, she cannot walk and she's hiv+ with a cd4 count of 87. I thought people would roll out the red carpet for us. I thought people would want to "save" her. Didn't work that way at all. I think you may have heard that Americans trying to take home orphans from Uganda are stuck here right now while our embassy figures out the situation and starts issuing visas again. My baby girl is starving and writhing in pain. I've tried to bring God glory and honor each day of this journey but I have to be honest and say that I've failed. I've grumbled, I've moaned, I've cried. I'm out of money, patience, and energy. I'm on my 2nd round of bad food poisoning that is really...well... unpleasant. I was corresponding with the sweet Palmer family the other day and God gave us this thought... No matter what happens here, it doesn't change the Cross. It doesn't change the Resurrection. And it doesn't change my salvation. He's just asking me to follow Him. Oh, and it's not easy. I have 3 young children at home who miss me and I miss them deeply. I am living minute by minute. That's all I can handle. And our sweet Savior gives me what I need for that minute by minute. I am so sorry to hear of love lost. I'm a romance-novel-type-of-gal and I feel so awful that you had to endure that. That is a searing pain and I pray that your heart heals quickly. You touch many people with your life. You draw them to the Cross in a way that they can't turn from. You are a rock in the proverbial pond that causes many ripples. Many with come to eternal salvation through your life. The enemy is never going to stop attacking you on this earth. You are a mighty warrior for Jesus and he wants to see you suffer. God will only allow what He knows you can withstand. I don't pretend for one second to know your pain and your daily struggles. But I do know that there will be a grand party waiting for you one day in a place so wonderful our human minds can't even take it in. And there will be no sadness, no hunger, no dying, no crying. I will continue to pray for you to be showered with blessings.